Do not miss out on this outstanding opportunity in NRH, offering 4 bedrooms with an in-ground pool! Vacant & ready to go for a quick close! 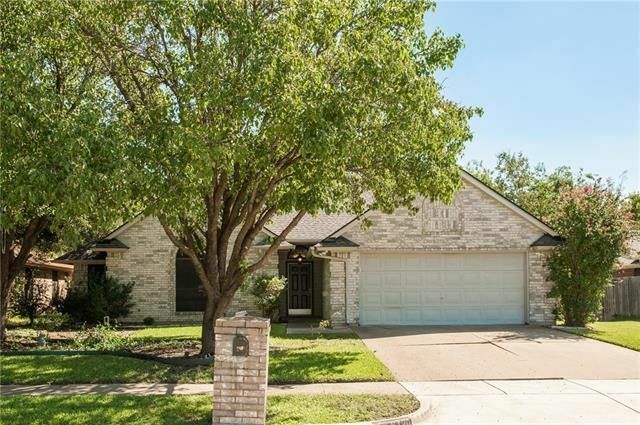 Enjoy our spacious kitchen offering updated tops, stainless steel appliances, concrete floors, plenty of counter & storage space, & a wonderful breakfast nook with bay window, overlooking our back yard & pool. Our split master bedroom offers plenty of floor space along with updated bath, separate tub & shower, and 6'x9' walk-in closet. Our living offers great floor space for entertaining, gaming, or just relaxing along with a 7' floor niche for the largest entertainment systems. Our back yard offers loads of privacy, a great pool, and yard left over for those pets!